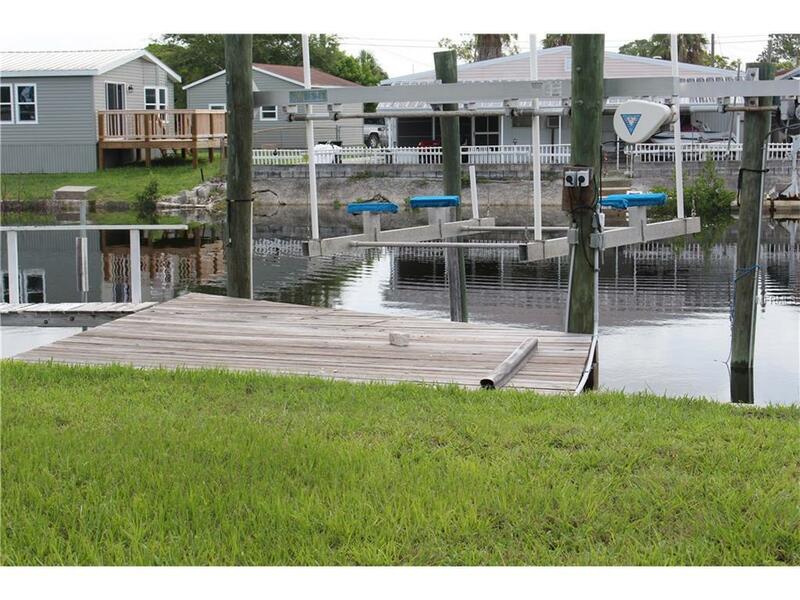 Live the Florida dream or be a snow bird and enjoy the wonderful Florida winters away from the cold of home.Buy this waterfront lot and have your new Manufactured home delivered and installed, bring your boat too. Only a few minutes boat ride to The Gulf of Mexico where you can fish for your dinner and watch the Manatees, Dolphins and Osprey frolic. Only a 2 mile drive to Robert J Strictland Memorial Park AKA "Hudson Beach" and Waterfront dining at Sams, The Inn on The Gulf and Ollies Oysters or Get Hooked at Port Hudson Marina just 3 miles away.